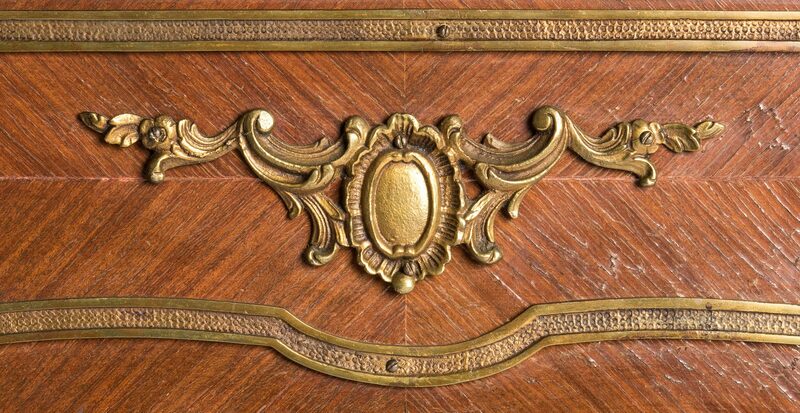 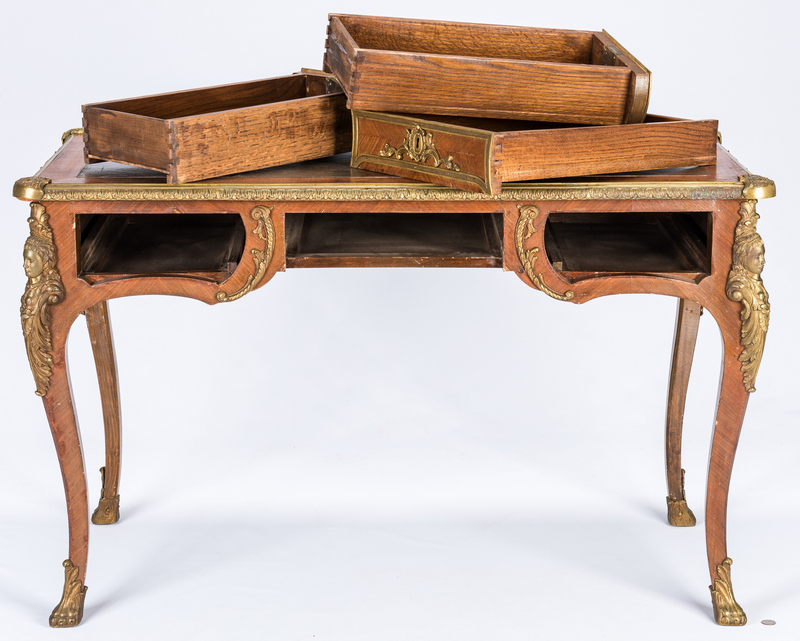 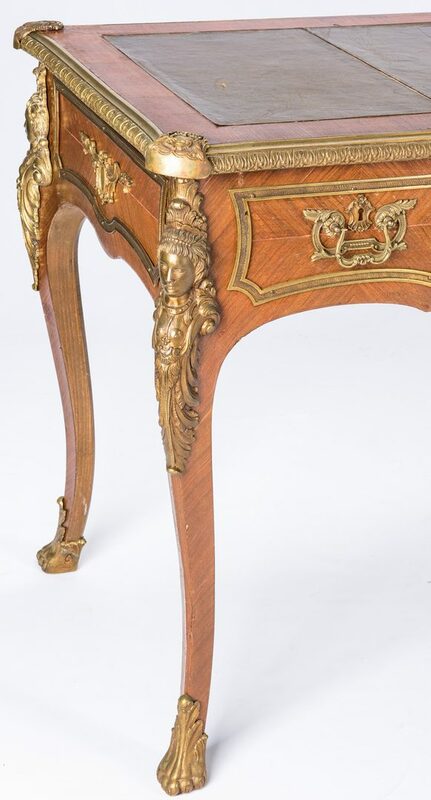 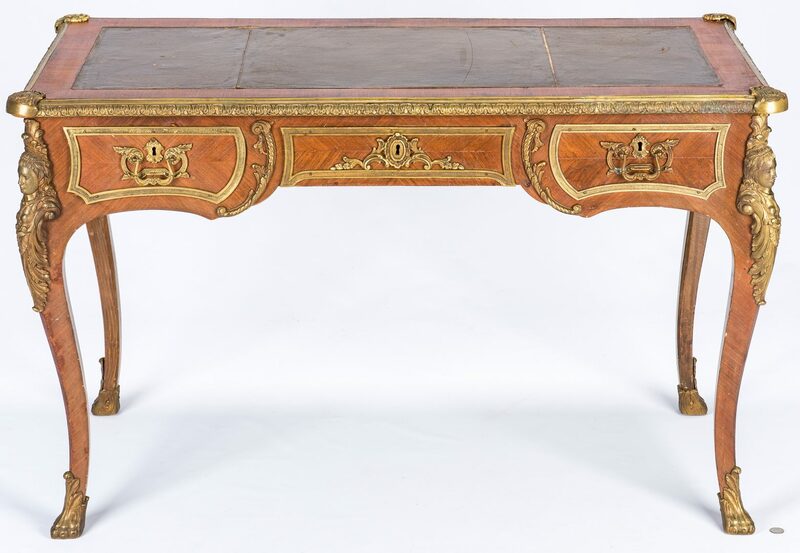 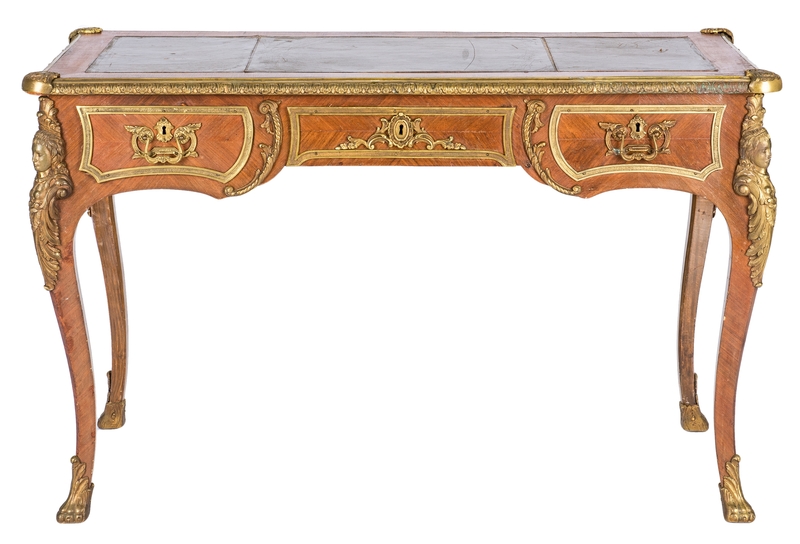 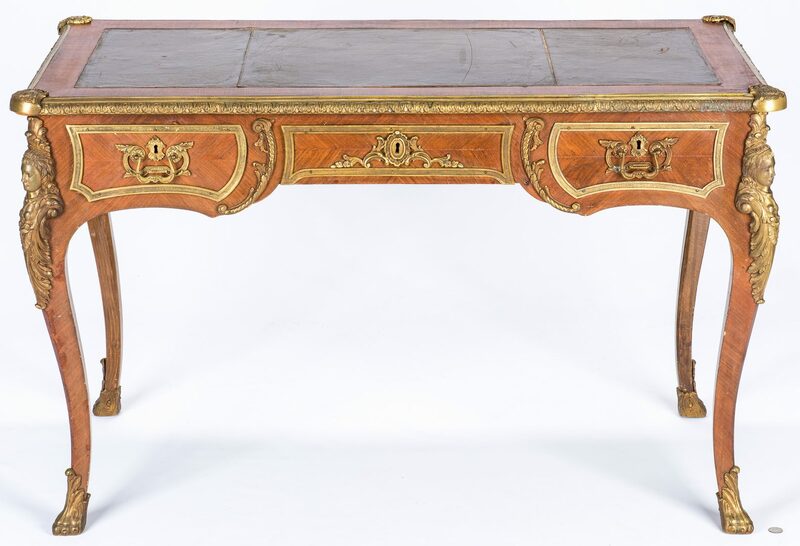 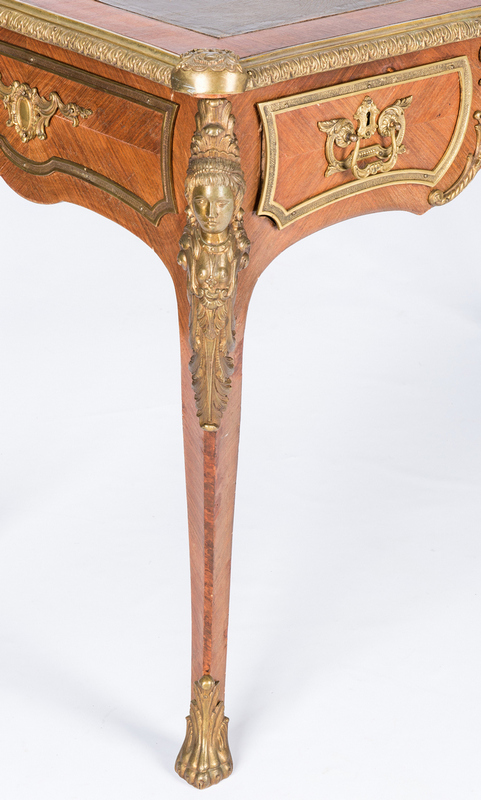 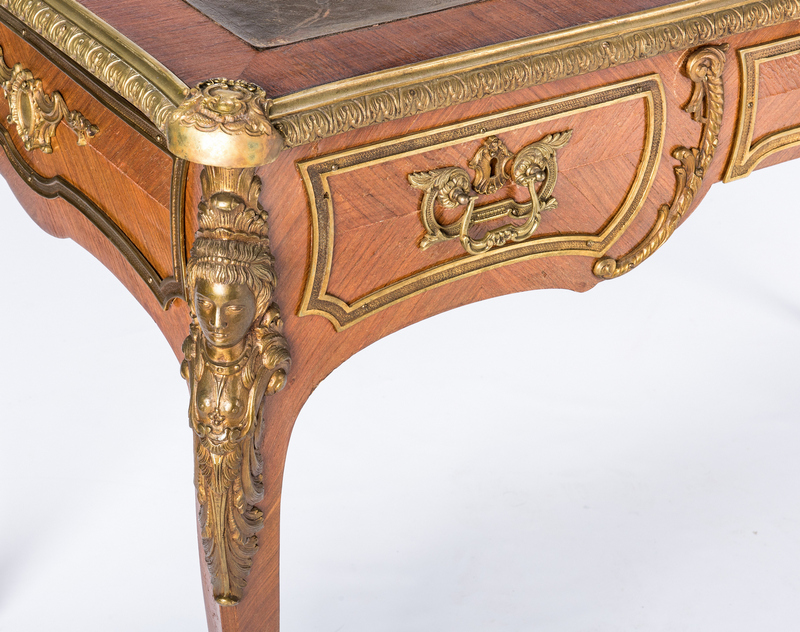 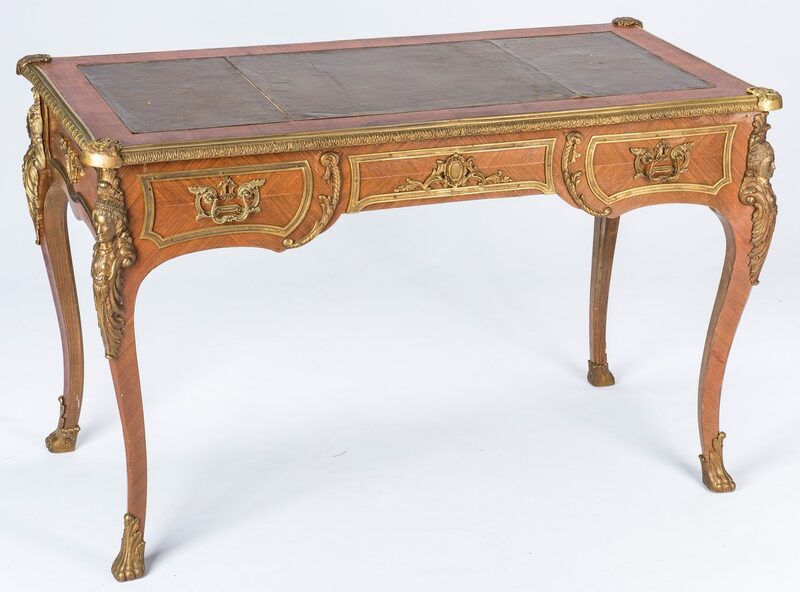 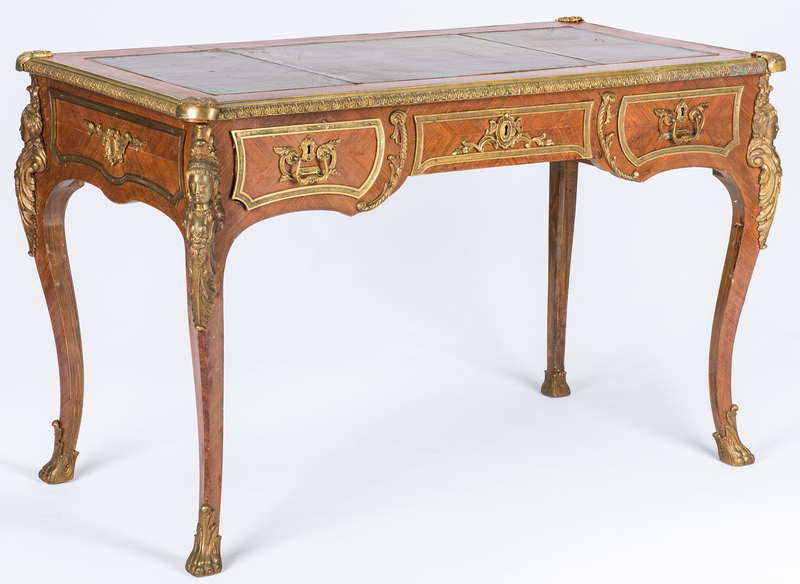 Louis XV Style Bureau Plat or Desk, comprised of straight, finely grained wood (possibly kingwood) veneer on oak secondary wood; tooled rectangular leather top with gilt bronze acanthus edge mounts, over three frieze drawers (faux central drawer) with gilt bronze banding and Rococo style foliate scroll escutcheons and pulls; tall cabriole legs with ormolu female caryatid mounts at knees and acanthus sabots at feet. 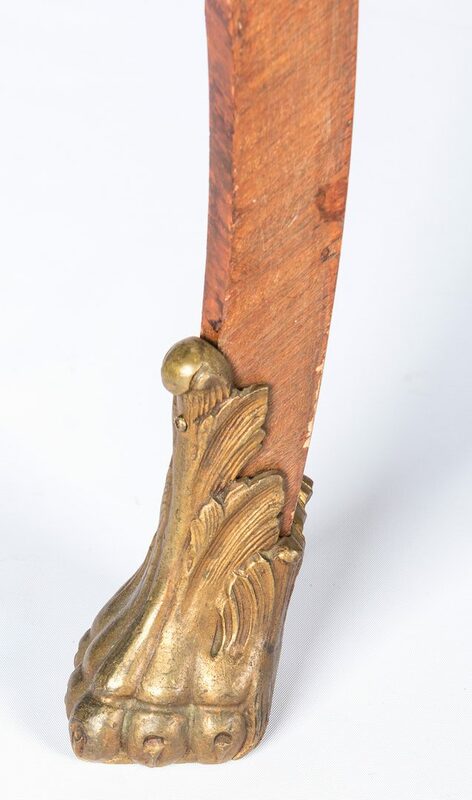 30 1/4" H x 48 1/2" W x 25 1/4" D. Late 19th/early 20th century. 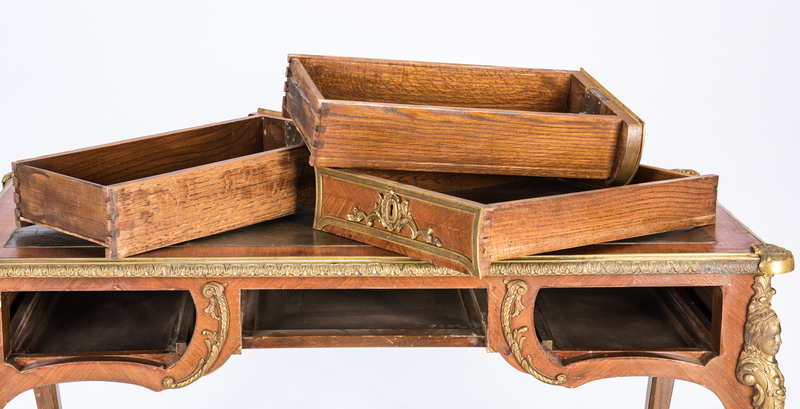 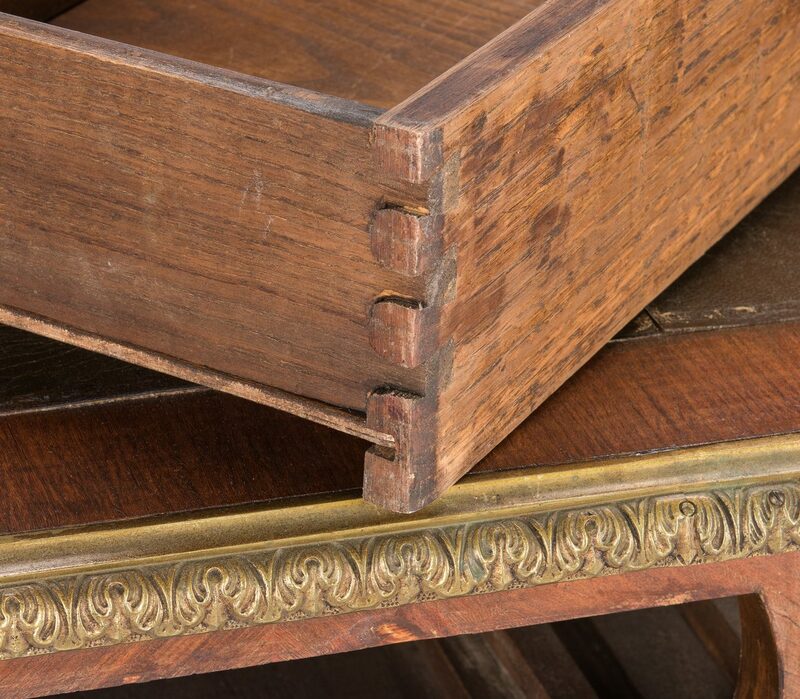 Provenance: Private Middle Tennessee Collection. 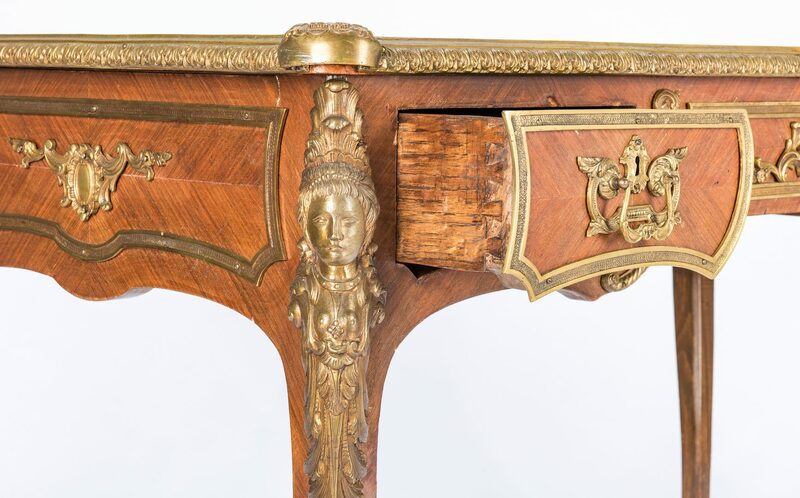 CONDITION: Wear and minor losses to leather writing surface. 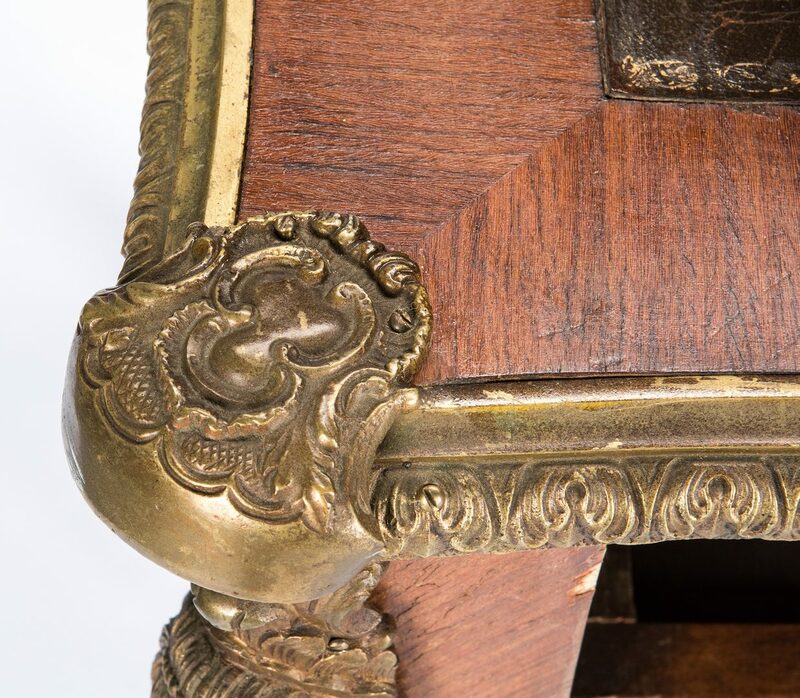 Three of the top corner elements loose, overall general wear, some shrinkage to veneer.